Happy fall, everyone! 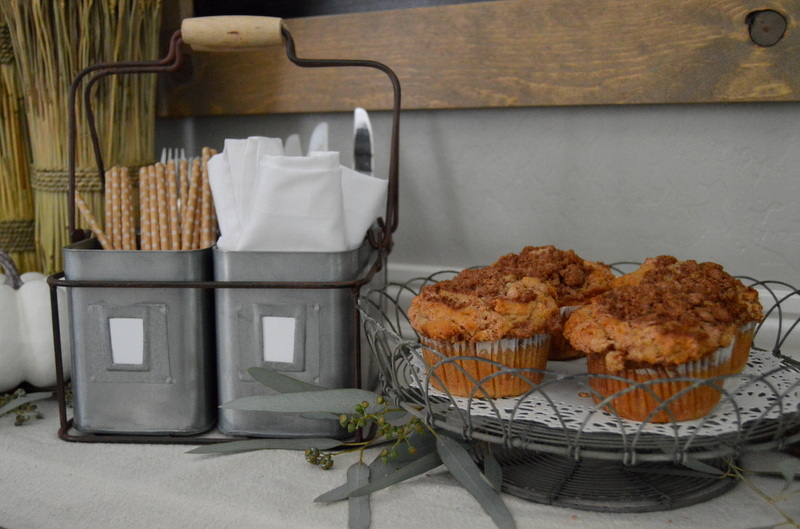 If you’re coming from one of the other stops on the Designed for Fall Home Tour, welcome!! I’m so happy you’re here and I’m thrilled to be participating in this tour with so many talented bloggers! 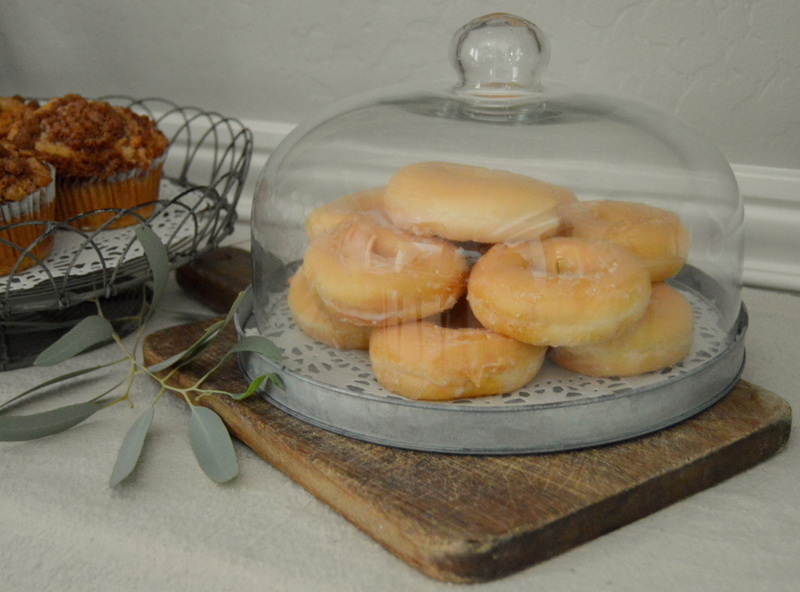 Not only are there gorgeous homes to look at, but if you hang in until the end of this post, there’s also a fun giveaway from Charlie and Ella, and an exciting announcement! If this is your first time visiting, let me introduce myself. 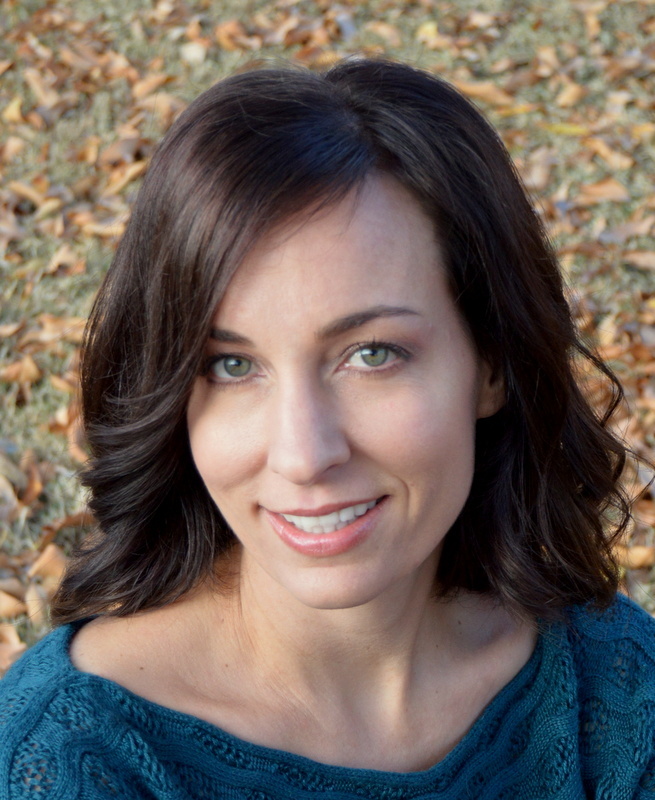 I’m Amy; my family and I live in a small, rural community in the Arizona desert. 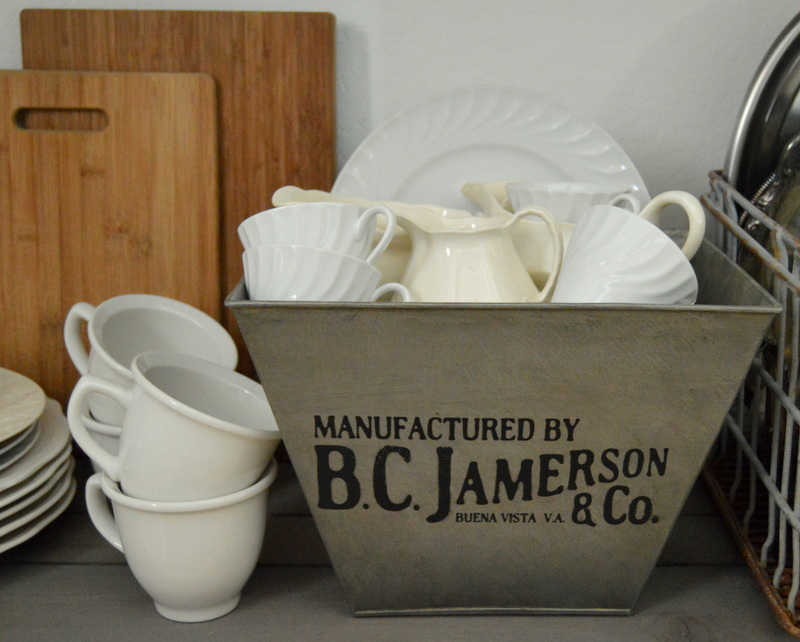 We’re slowly adding farmhouse flair to our cookie-cutter tract home; personalizing it on a teeny, tiny budget. There’s still a lot left to do, but we’re getting there, one DIY project at a time. Fall arrives slowly here in the desert, but it’s my favorite season so I try to enjoy it as long as possible. 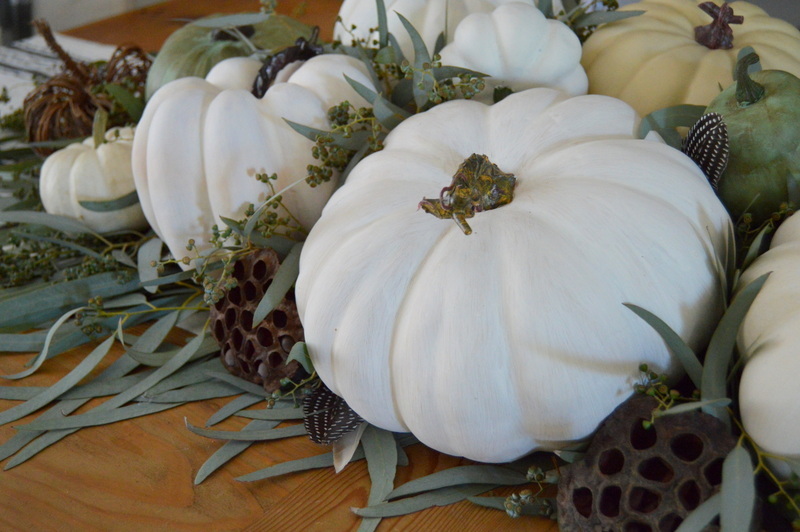 I usually bring out the pumpkins mid-August, but I’ve been busy with a super fun and exciting new venture (stay tuned for the announcement at the end of this post), so the pumpkins have literally just made their seasonal debut. And, if we’re being honest, they’ll probably still be here through Christmas! As I’ve mentioned, life has been hectic, and as much as I love the vibrant hues of Autumn, my soul is craving calm, muted colors to carry me through the upcoming busy holiday season. 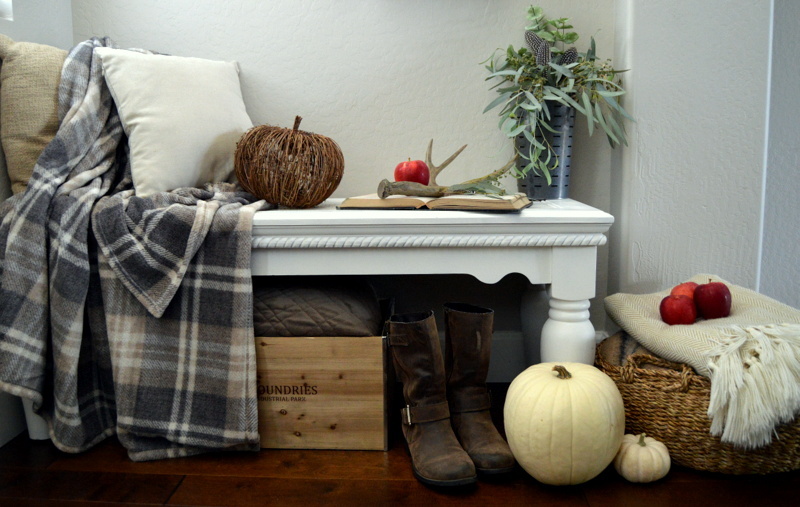 The entryway didn’t change too much, I simply traded out the spring/summer accents for some wheat, pumpkins, and a basket of cozy blankets. Nothing says “welcome fall” better than a pile of blankets! 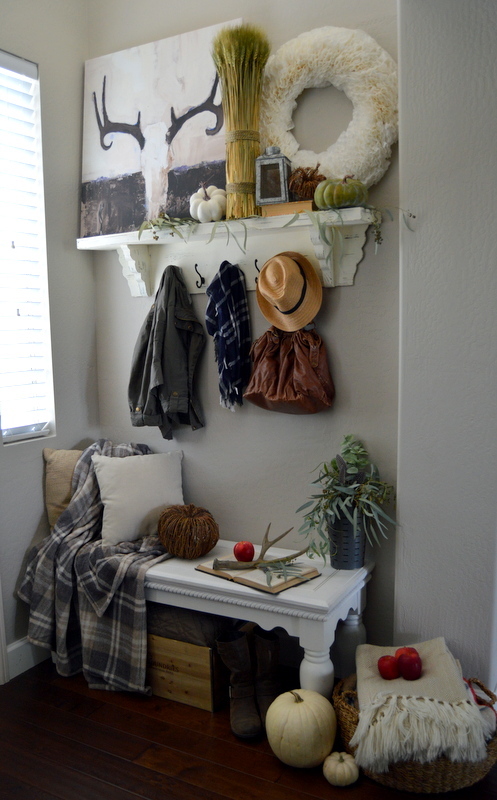 This entryway works hard for my little family and it’s rarely this tidy, so I’m glad I have the pictures to remind me of its “better days”. The entryway opens into the family room. It didn’t take much to cozy up the sofa; a chunky knit blanket, some neutral toned pillows, and a small, fury pup is all this space needed (he just looked so comfy, I couldn’t stand to wake him. Seriously, look at that chubby little guy)! 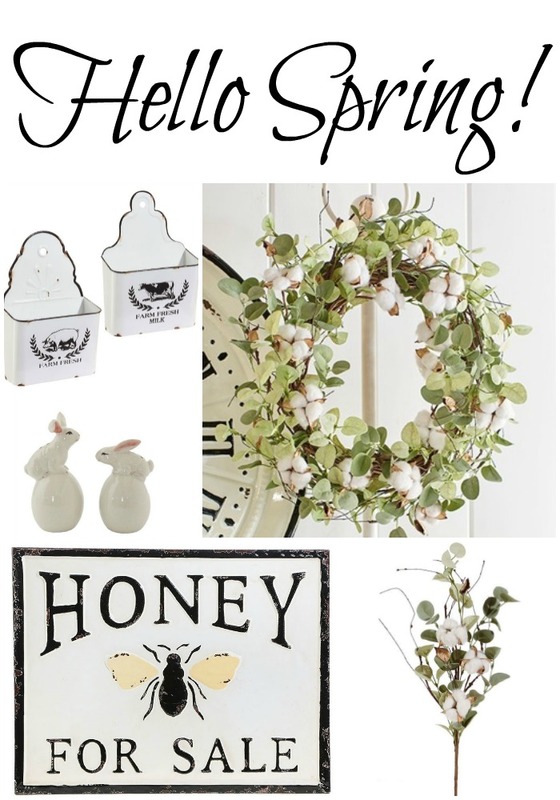 The Mister and I built this vintage inspired screen (tutorial coming soon), and created a fun gallery wall using a scrap wood initial, handmade wreath, painted sign, and farmhouse dustpan-turned-planter. And that ladder? We made that, too. 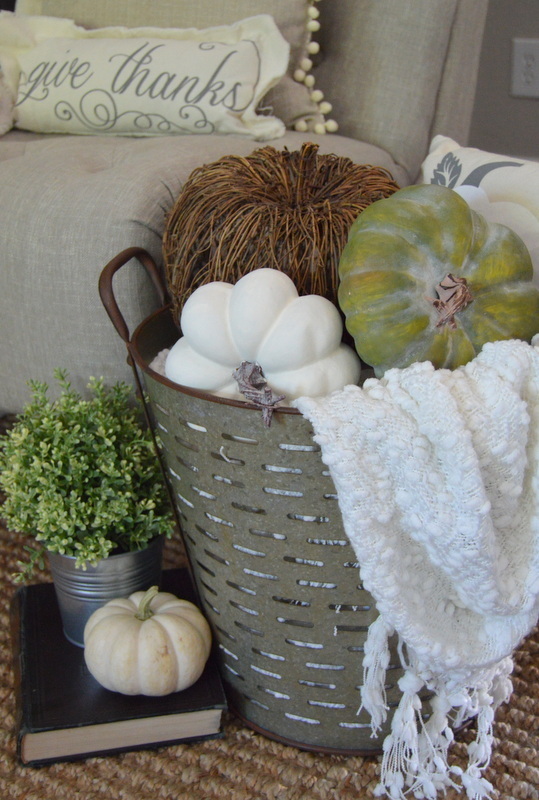 A vintage olive bucket and some fun little pumpkins add more fall touches to this area. 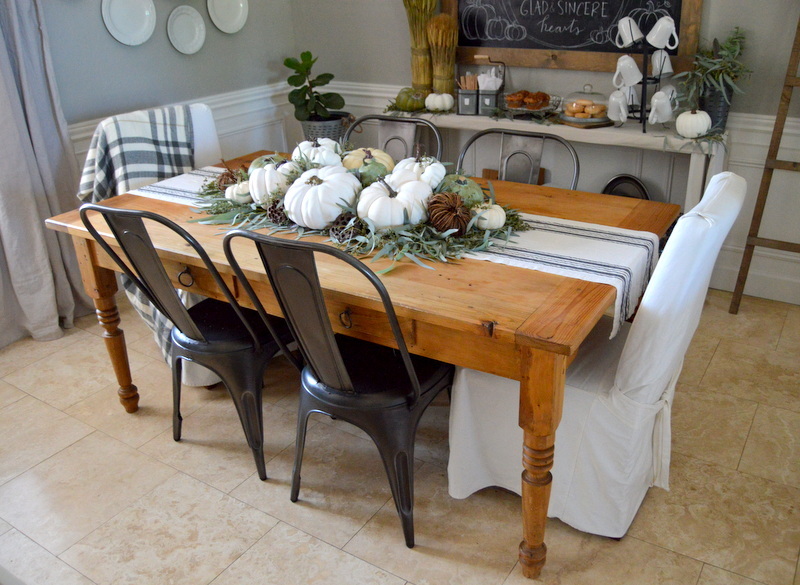 The dining room is always so fun to decorate for the seasons! My daughter, a.k.a. the artist, gets recruited to create the seasonal chalkboard art (you can see last fall’s artwork here). She found this scripture on Pinterest, then whipped up some pumpkins and vines to jazz it up. 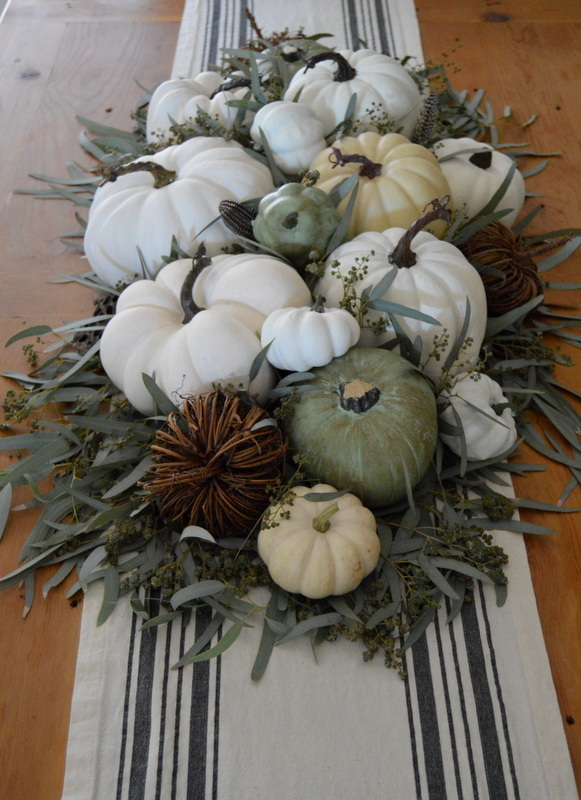 The table centerpiece is basically a pile of mostly faux, painted pumpkins on top of a seeded eucalyptus table runner (which was totally worth the midnight stroll in the park with a pair of garden shears…. shhhhhh)! 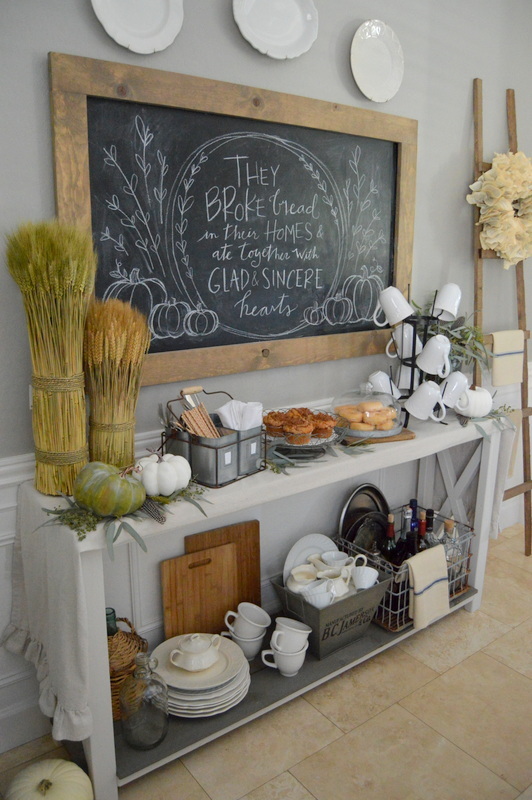 The buffet table was the perfect spot for a breakfast and coffee bar. Hmmmm…. looks like someone likes her carbs! 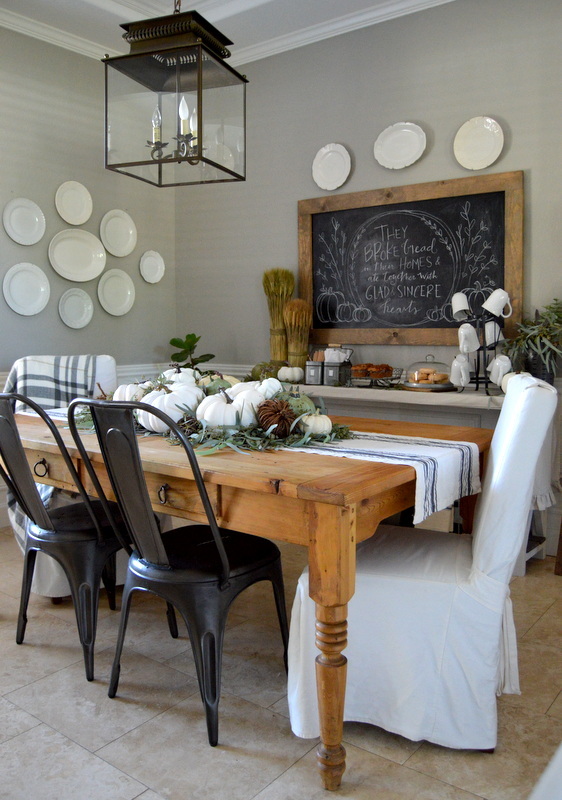 How fun are those rustic, farmhouse serving pieces? 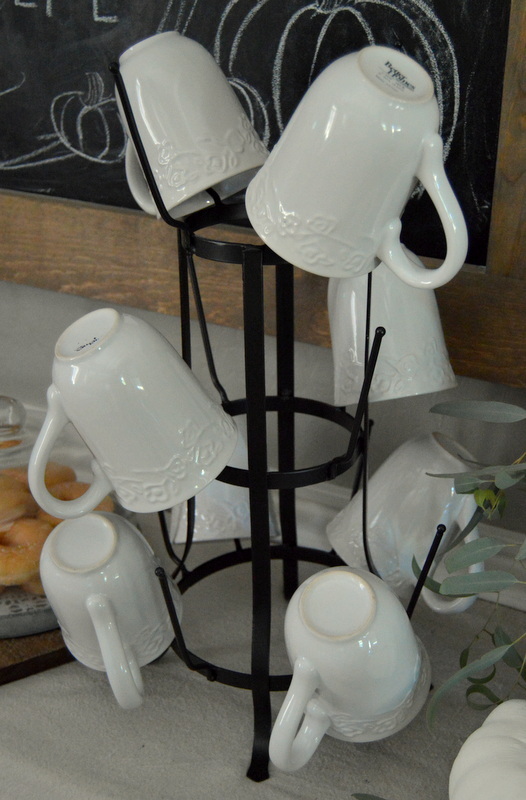 And this farmhouse mug rack? Yes, please! 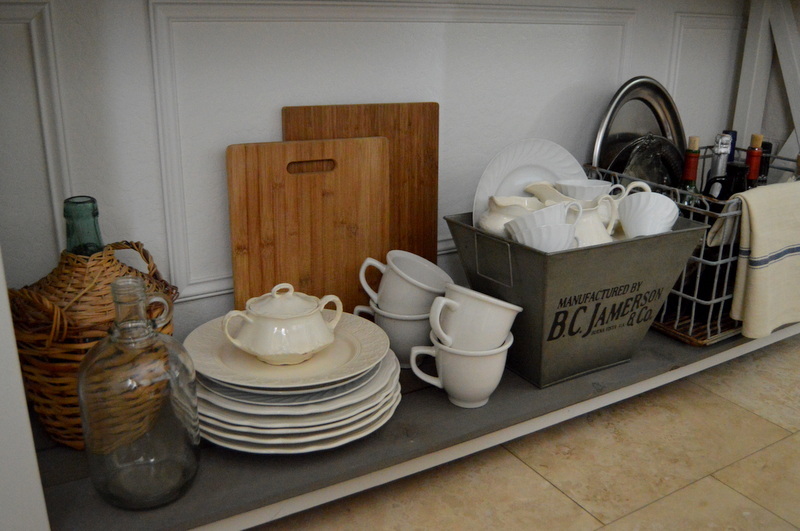 Vintage crates and metal bins coral the wine bottles and ironstone dishes. 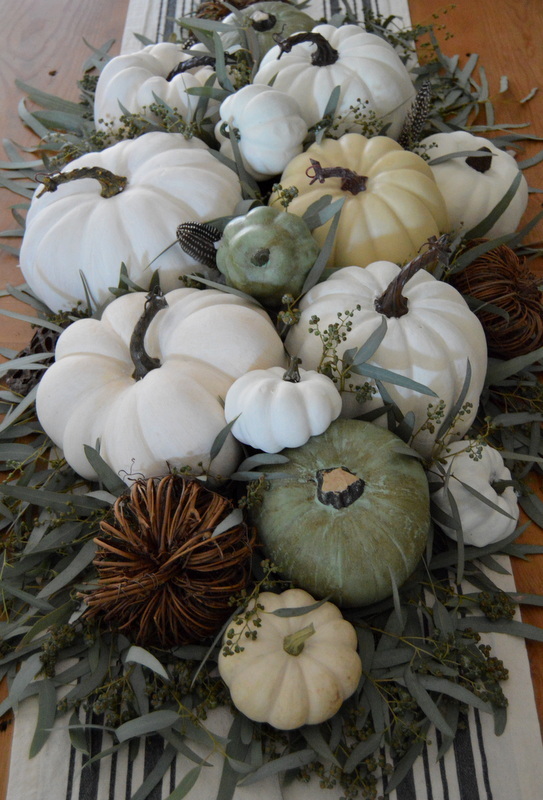 One more shot of that centerpiece… And now I interrupt this program to bring you an important announcement! Whew, it feels soooo good to finally share that with you! And you know what else I want to share with you? 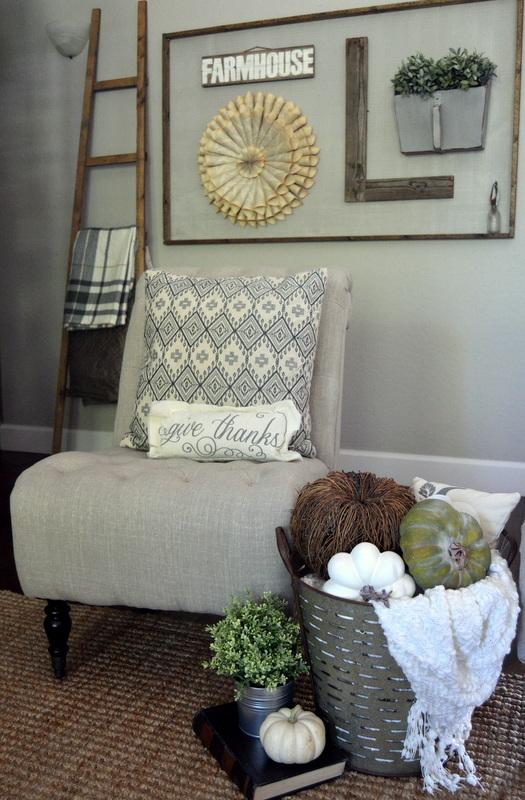 More amazing fall home tours! 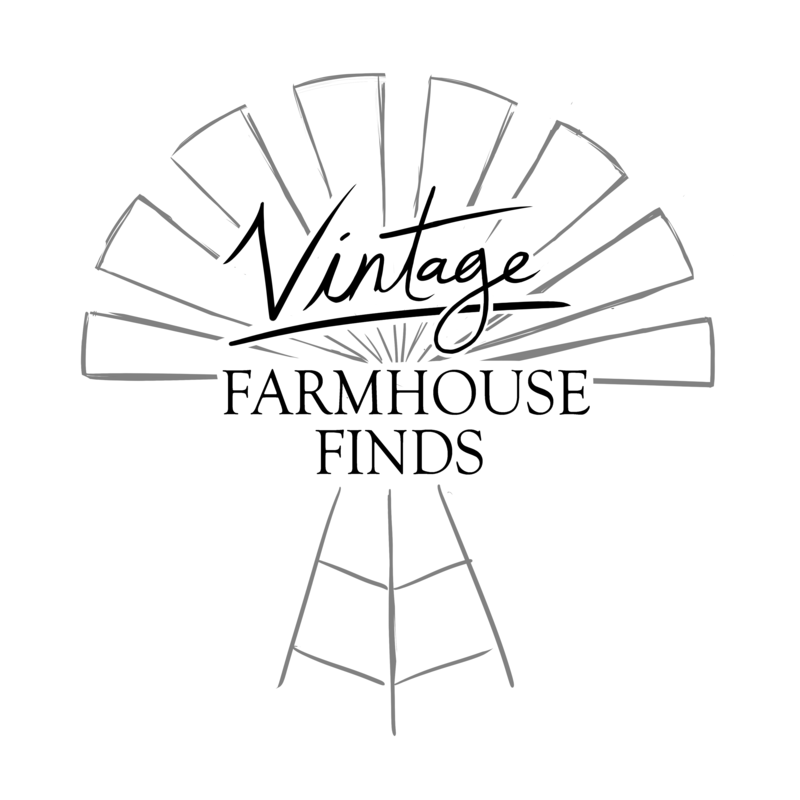 Please stop by and visit my friends; their homes are beautiful and they’ve been working hard on posts and projects to inspire you this fall! 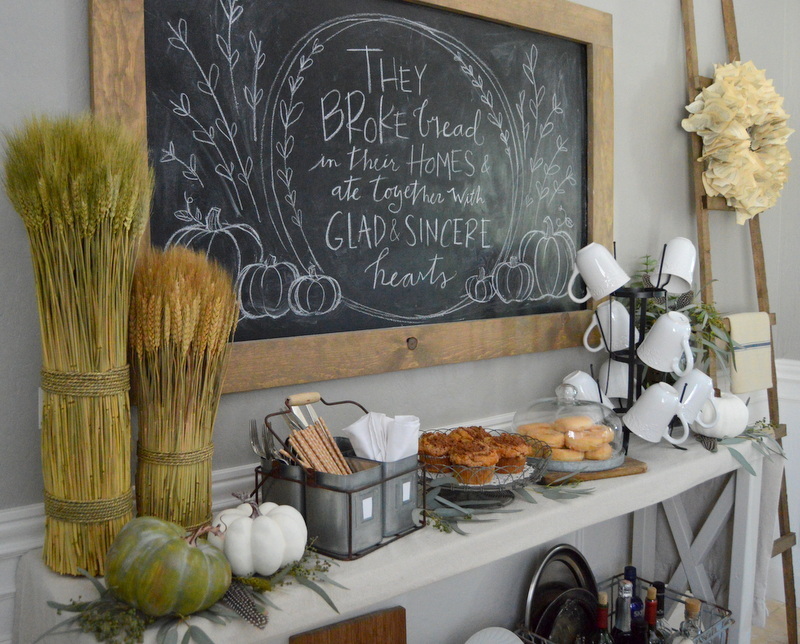 And don’t forget to enter to win a hand painted wooden sign from Charlie and Ella! I am so in love with your home. Your fall tour is just beautiful! Thank you, Karen! That means so much coming from you! 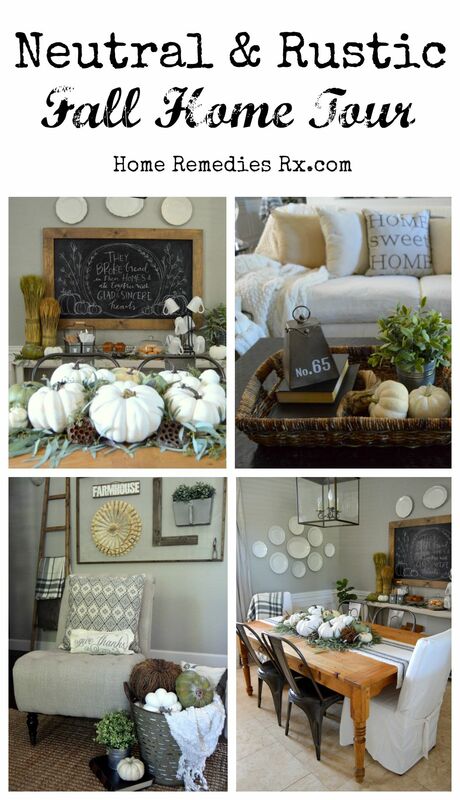 Thank you, Amanda – it’s my favorite season, so decorating for it is so much fun! So glad you stopped by! 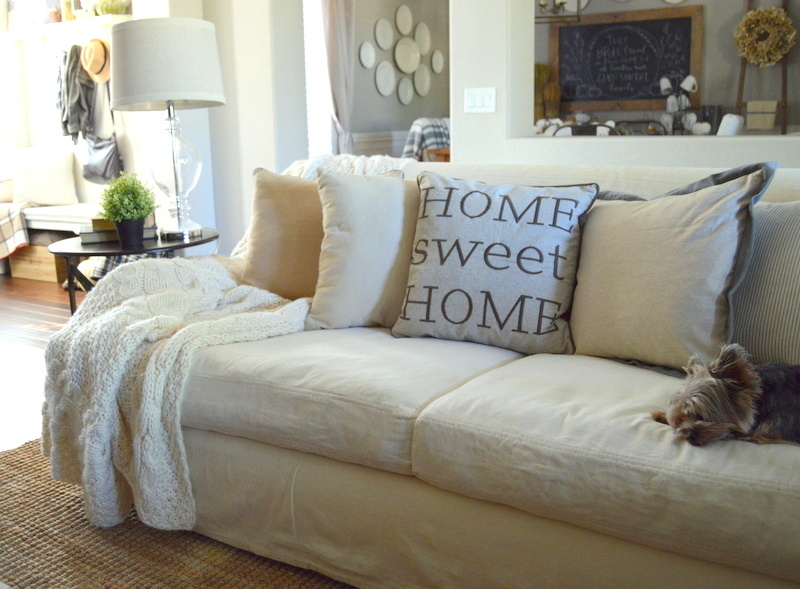 Amy I don’t even think Obsessed is the word to use…your home is just so gorgeous! Love it all! Thank you so much, Deb! 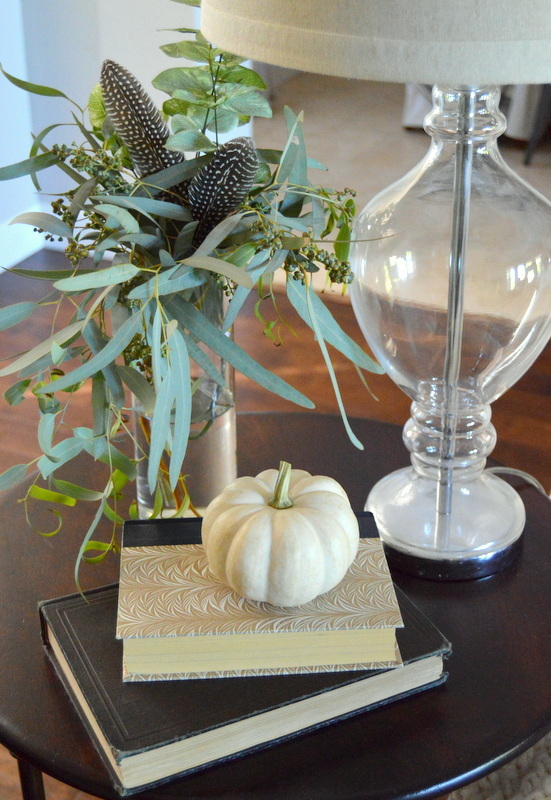 I love decorating for fall! 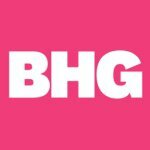 Christine recently posted…Do You Follow My Blog Yet? You’re so sweet to me, Christine! 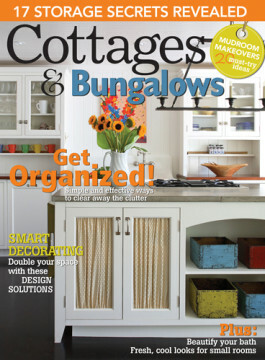 Your home always looks amazing, girl – but I can’t wait to see what you do this fall! Amy, everything looks beautiful! Congrats on opening up your own business, so exciting! Oh, and that dustpan turned wall planter is so clever!! Thank you, Roxanne! 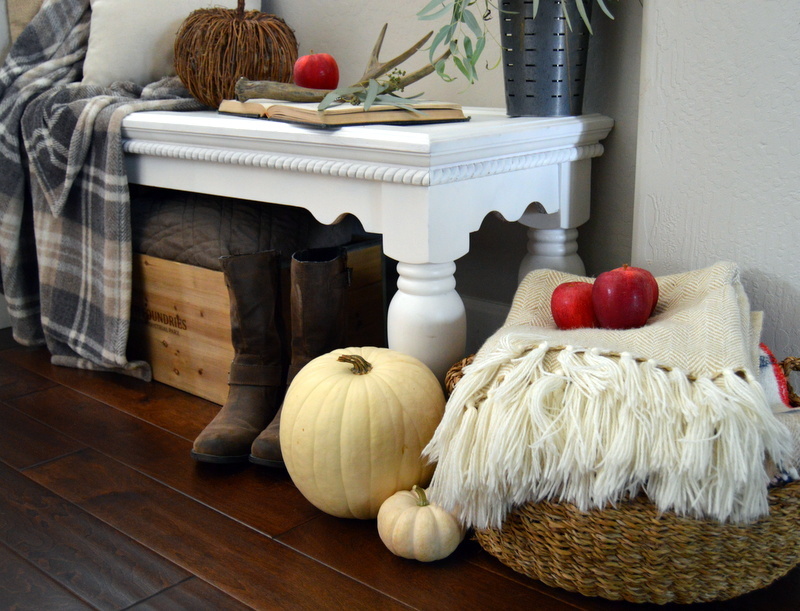 The dustpan is definitely an unexpected accessory, but fun, too! And I am sooooo excited about opening the shop – thanks so much for your support! Your fall tour is great! Everything looks SO pretty. Congrats on your new shop. 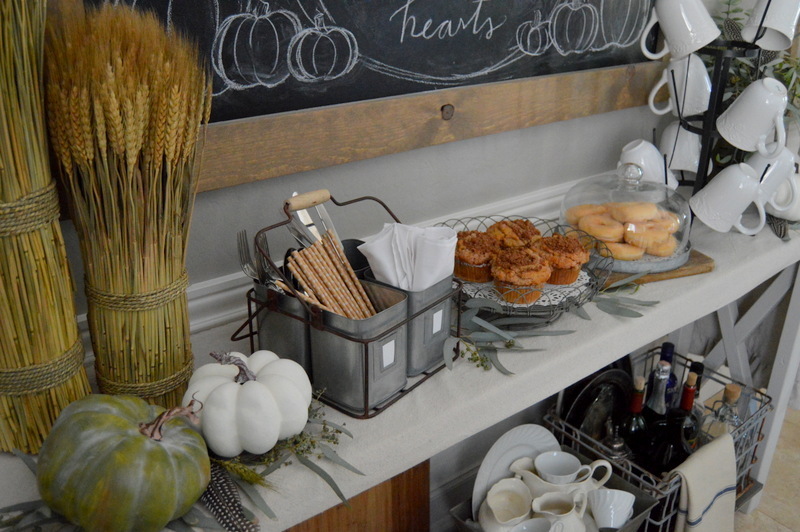 Suzy@ Worthing Court recently posted…The Scoop Link Party #189 – Fall Recipes, Pumpkins, Crafts And More! Thank you so much for your kind comments, Suzy! I couldn’t be more excited about the shop! Amy I love your house! Your pumpkin tablsescape is gorgeous! Beautiful!